His name was Muhammad Sultan, also known as Sir Sultan Muhammad Shah, the Aga Khan, G.C.S.I., G.C.I.E., G.C.V.O., G.C.M.G., LL.D., was born at Honeymoon Lodge in Karachi on Friday, the 25th Shawal, 1294/November 2, 1877 at 5:30 pm. When the news of his birth was routed to the Aga Khan I in Bombay, he said: "Name him Muhammad Sultan. He would be a Sultan (emperor) in the world. His period would see wonderful events, and would earn distinguished position in the world." He grew up under the substle care of his mother. His father had declared him as his successor for the first time in Kamod, a village near Ahmadabad in 1884 before the local Ismailis. About three months before his death, it is learnt from the old manuscript of a certain Khoja Hansraj Sunderji that on May 14, 1885, the Aga Khan II had said to the Bombay jamat that: "You adore Aga Sultan Muhammad same as you adore me. There is no difference between me and him. We both are from one light (noor), and you believe it as one, so that your worship be accepted in dooms-day. Do not consider us different, both are from one light." After his father's death, the Aga Khan III ascended the throne of Imamate at the age of 7 years, 9 months and 16 days on 6th Zilkada, 1302/August 17, 1885. The British empire awarded him the title of His Highness in 1886 in the time of Lord Reay, the then governor of Bombay. On that occasion, the Iranian king had sent him a sword and an ivory stick as presents. The Aga Khan III as a child, almost from the time he could walk, took a keen interest in various games. He also showed an extraordinary affection for animals and was in the habit of feeding dears, stags and ponies in his home park, often leading them about with a string round their necks. He took great pleasure in riding a wooden horse. Until the age of 18 years, the Aga Khan III received education in Bombay and Poona. He was deeply indebted to his learned and wise mother, Lady Ali Shah, to whom he owed his liberal and extensive education. Though deprived of the paternal solicitude of his father at the age of 8 years, his mother took abundant parental interest in his education. Besides oriental languages like Arabic, Persian, Urdu and Hindi, he also developed command over English, French and Germany. Alongwith Islamic education, he also studied western thought, sciences, metaphysics, astronomy and mathematics from his three European tutors. Like his mother, he also took interest in the poetical works of Rumi, Hafiz, Sa'adi, Firdausi and Umar Khayyam. Recollecting memory of his childhood, the Aga Khan once said: "As a child I was very much interested in philosophy and poetry, because anyone who knows Persian literature is naturally inclined to those subjects by the wonderful power, charm and grace of our Persian poets. I came under the influence of Hafiz, Maulana Rumi and others at an early and impressionable age, and they opened my eyes to the wonders of the universe and to the need of constantly keeping abreast of scientific and philosophic speculation and discovery. I have never since lost my interest in these subjects and have tried, as far as one can in the midst of a busy life, to read all the most recent theories and the arguments on which they are founded." The Aga Khan III was fortunate to have a gifted and farsighted mother, Lady Ali Shah, who engaged best scholars to teach him Koran, Hadith and oriental languages. She also played a seminal role in the administrative affairs of the Ismaili community through a council. Dr. G.W. 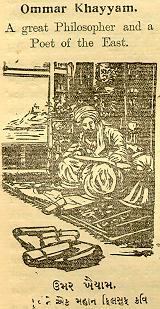 Leitner writes in "Legends, Songs and Customs of Dardistan" (London, 1889, pp. 250-1) that, "His Highness, Agha Sultan Muhammad Shah is the present hereditary spiritual head. His authority extends from the Lebanon to the Hindukush and wherever else there may be Ismailians, who either openly profess obedience to him, as do the Khojahs in Bombay; or who are his secret followers in various parts of the Muhammadan world in Asia and Africa. The present young, but enlightened, Chief is, as his father and grandfather, likely to exert his influence for good." The Aga Khan III started visiting the Ismaili communities outside Bombay in 1312/1894. He made his debut as an educational reformer, and visited The Mohammadan Anglo Oriental College in Aligarh (high fort), about 79 miles south-east of Delhi, on November 22, 1896 and had a productive meeting with Sir Sayed Ahmad Khan (1817-1898), who was a great educationist and socialist. Sir Sayed Ahmad Khan had founded the Aligarh College on November 1, 1875, and was the vice-President of the College Fund Committee as well as its Honorary Secretary. Qayyum A. Malick quotes in his "Prince Aga Khan" (Karachi, 1954, p. 47) Sir Muhammad Yaqub as saying: "I happened to see His Highness for the first time in 1896, when the young Khoja leader started his public career by making a pilgrimage to the M.A.O. College Aligarh, the great symbol of Muslim renaissance, and made his acquaintance with the founder of the institution, the late Sir Sayed Ahmed Khan, who was then the foremost Muslim leader of the day. It was perhaps this inspiring inauguration of the Aga Khan's public life which kindled in his heart an unabating fire for the service of his community. The late Nawab Mohsin-ul-Mulk, who arranged this historic meeting, had already perceived the germs of great talent in His Highness, and brought him closer to the Aligarh movement, and the Aga Khan soon appeared on the horizon." Willi Frischauer also writes in "The Aga Khans" (London, 1970, pp. 56-7) that, "How wonderful if Aligarh could become a full university to bring up a generation of young leaders and advance the cause of Islam. Here was a chance to follow in the footsteps of his ancestor who had founded al-Azhar, the first Muslim university, which greatly appealed to the young Aga Khan. He decided to put up money for the cause and persuaded wealthy friends to contribute. It was a long struggle but he missed no opportunity to plead for this cause and when Aligarh finally became a university two dozen years later, it was more to Muslims than a seat of learning. In retrospect it was recognised as the intellectual cradle of independent Pakistan and the Aga Khan's enthusiasm and support which made it possible earned him a place among Pakistan's founding fathers." 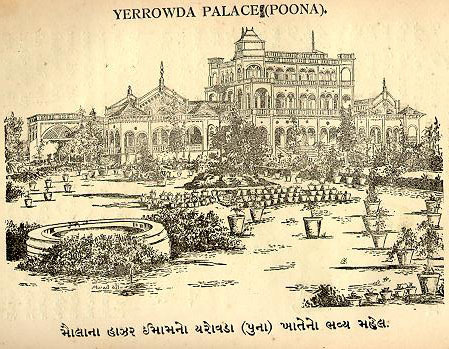 In 1315/1897, a terrible famine had badly shaken the Bombay Presidency, therefore, the Aga Khan III supplied food and seed, cattle and agricultural tools to the needy people, and in order to provide job opportunities, he started the construction of his Yarroda Palace at Poona. In Bombay, a large camp was pitched at Hasanabad, where thousands of people were daily fed at his expense; and to those who were ashamed openly to participate in this hospitality, the grain was provided to them privately for about six months. The famine was followed by the epidemic of bubonic plague and the superstitious people of India refused to be vaccinated against the disease. The Aga Khan III obtained the service of an eminent bacteriologist, Dr. Waldemar Mordecai Wolff Haffkine, the Director-in-Chief of the Government Plague Research Laboratory, Bombay. The Aga Khan was a crusader against meaningless supersitions and traditions, when soon after famine came plague, the people were in a panic and there was a hue and cry against inoculation with anti-plague serum. He therefore collected the people at his Khusaro Lodge, where the doctor was staying and addressed meetings explaining the benefits of inoculation. In front of this gathering he got himself inoculated, so as to dispel their superstitious fears, and strengthen their confidence in scientific methods of cure. This prompted others to follow and many lives were saved as a result. In the meantime, it had been proposed to give a public dinner to the Aga Khan III in Bombay in view of his outstanding services. When he had been informed of it, he wrote to the Secretary of the Reception Committee a letter, which showed his innermost feeling evoked by the distress of the poor people. He wrote: "I cannot accept any entertainment when thousands of people are dying of starvation. It is almost wicked to waste money on rich food when thousands of people are starving. I would urge that every rupee that could be spared should be given for the relief of sufferers by famine instead of wasting it on the entertainments."